Non-EU immigrants to France seeking long-term residency permits are required to obtain x-rays in order to be cleared for processing. Every day, the government asserts its right to peer into and catalogue the innermost parts of our bodies, in order to determine who gets to stay within its borders and who is unfit to remain. The works explore how our identities are formed as we pass through and reflect on the many borders, physical as well as mental, that we have each crossed in the past and must cross on a daily basis. In the x-ray images, the physical site of transit is inscribed within the body, rather than something that we pass through unharmed. The experience of passing from one area to another stays with the migrant, and becomes part of how he experiences the world. The works’ ambiguity underscores the dual symbolism of the border as a barrier and as a springboard, simultaneously inhibiting and enabling interactions between individuals and select geographic locations. 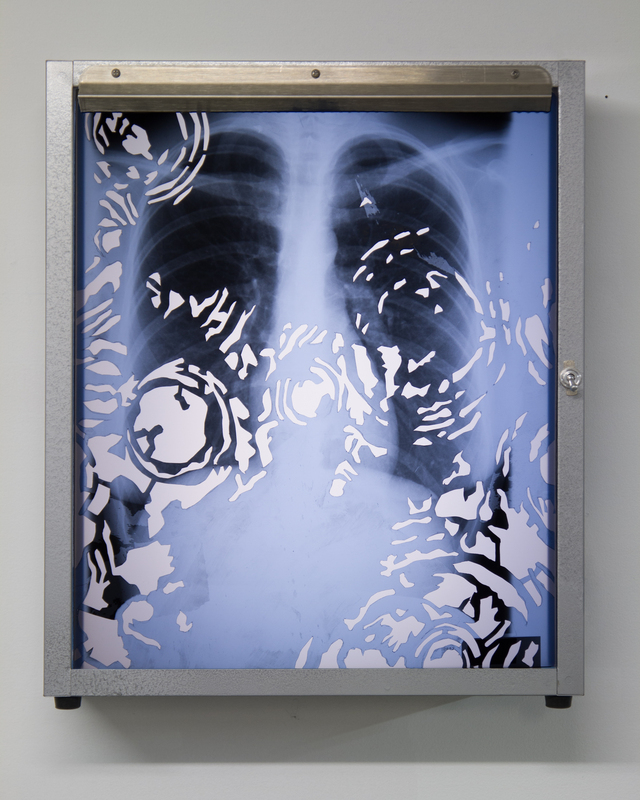 Frontière interne I consists of a series of 9 images cut out of chest x-rays, each measuring 35,5 cm x 43cm. 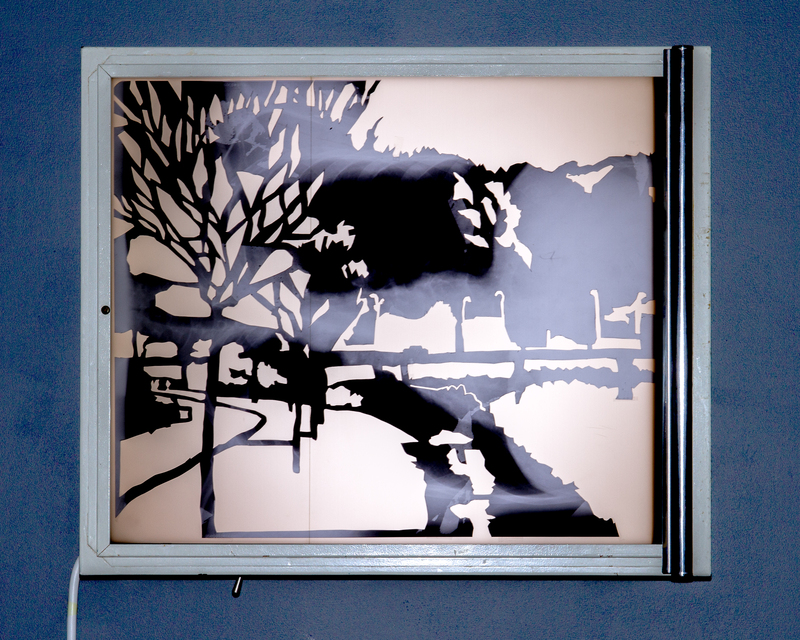 Light box dimensions vary and conform to the standard sizes of medical grade x-ray viewers. 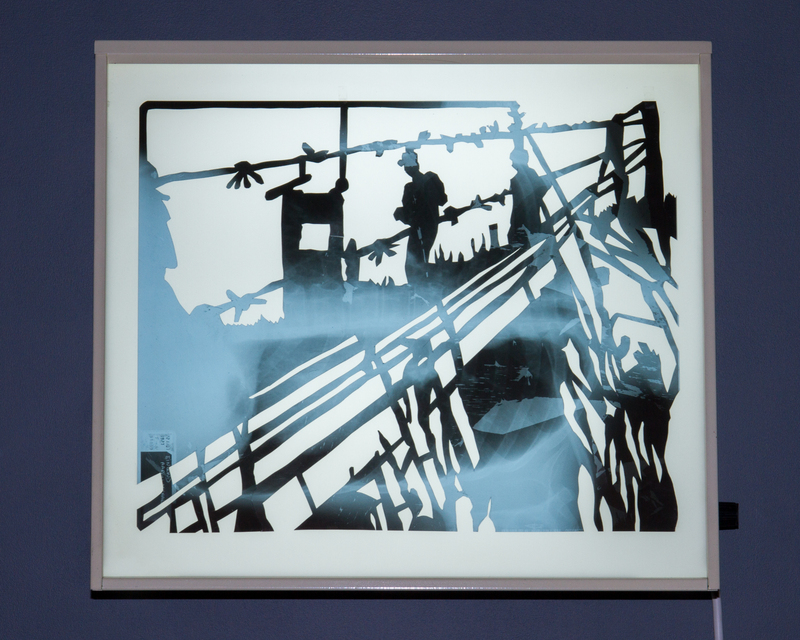 It juxtaposes the chest x-rays of immigrants currently living in France with close-up, cutout silhouettes of plants and landmarks covering the physical border zone between France and Spain, photographed by the artist. 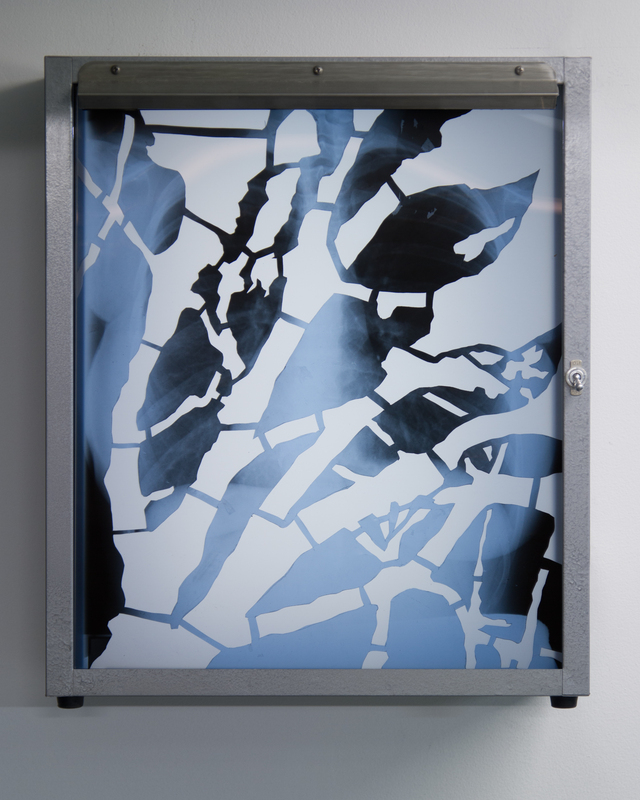 Kasia Ozga, The Internal Frontier Series, 2011-14, chest x-rays collected from foreign immigrants to France (on lightbox), x-rays 14 in. x 17 in. 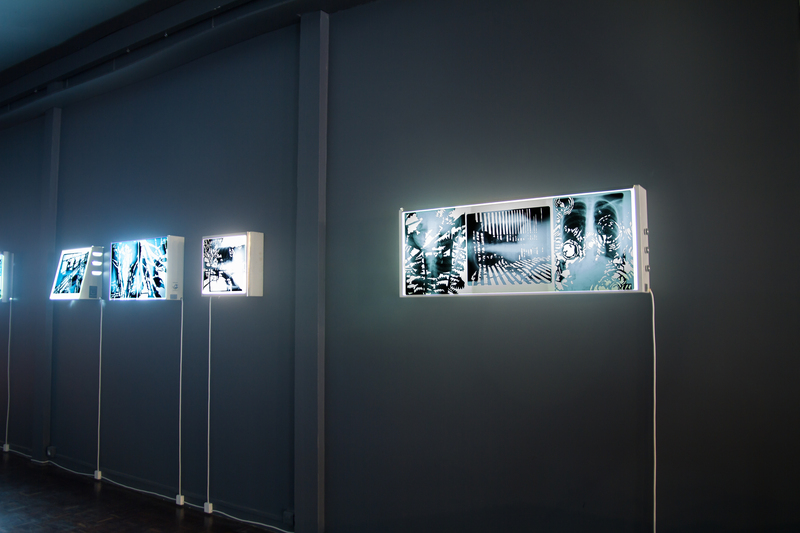 each (35,5 cm x 43cm), light box dimensions variable, photographs © Kasia Ozga, 2015. The Internal Frontier Series was produced during an artist residency at NEKaTOENEa, at the Domaine d’Abbadia in Hendaye, France and sponsored by the CPIE Littoral basque. 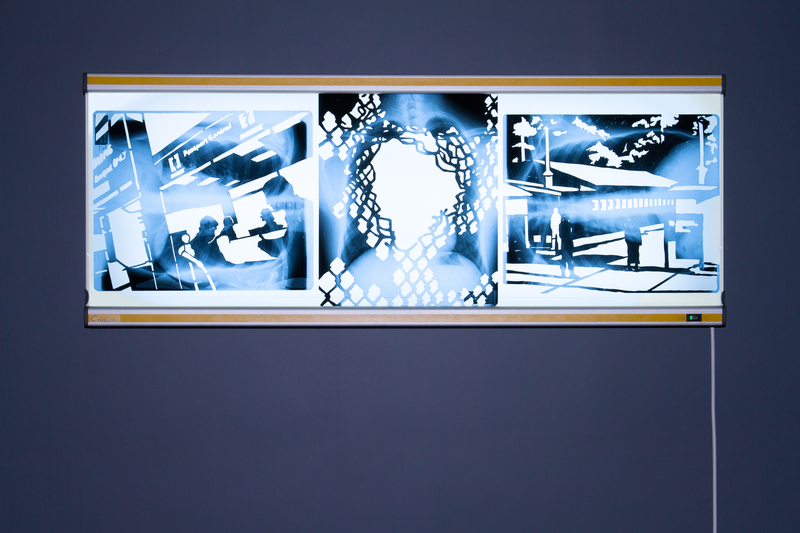 Frontière interne II consists of a series of 12 images cut out of chest x-rays, each measuring 43cm x 35,5 cm. The work juxtaposes the chest x-rays of immigrants currently living in France with cutout images of various borders and conflict zones, around the world. 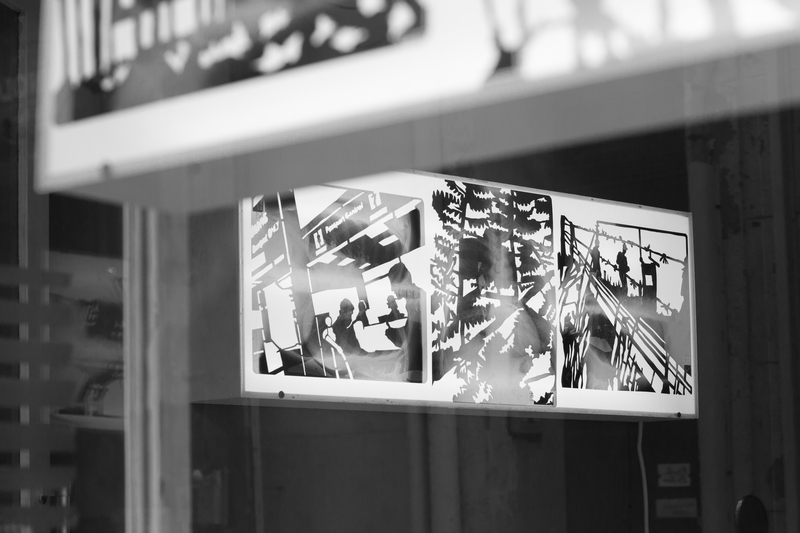 Some of these images directly relate to the personal histories of the individuals who have donated their x-rays whereas other involve imagery of borders obtained via internet search engines.